It boggles my senses, the ease with which one can put an eBook on a Kindle! Having just put Verses by Van on Amazon (sadly, they don’t have a easy way to list eBooks for free) I thought it would be interesting for those of you cursed with insolent biros to read a blog post on how to easily (really, very easily) put your scribblings on to Kindles. Oh look, a book cover! Firstly, go to the Amazon KDP Website, where you can sign in with your Amazon account, or create a new one. Once you log into this service there’ll be a window in the corner saying you need to complete your account details before you can publish an eBook (it’s nice to get this sorted as soon as you sign in to KDP, so you can get straight on with uploading and publishing your eBook afterwards). Fill them in – there’s basic stuff like address, phone number, &c. – all these are needed. You also have to fill in a tax form; as long as you’re not a US resident this is a relatively simple task of saying nothing really applies, since that’s all there to calculate taxes only relevant to US residents. Now that’s all done follow the Bookshelf link on the navigation bar and you should be able to start creating a new eBook. Firstly, you can choose to go for KDP Select or not – I didn’t bother because my eBook is publicly available elsewhere, it has some marketing benefits, which are explained on that page if you really want it. Then there are a load of boxes with fairly obvious uses; fill in the title, author, description, and all the other little bits. There’s an option to upload a cover image; the ‘Cover Creator’ option for this is an excellent tool if you don’t have a cover already – and has a very nice and easy to use interface. Then there’s a browse option, by which you can choose your book and upload it. There are plenty of files you can choose; epub being the format I used, and is a simple one to convert your writing into. Otherwise, and also incredibly simple, you can save your text as .pdf, or put it into a zipped html format. Now just press ‘Save and Continue’ at the bottom of the page. Note should be made here; this is only possible once your account tax details have been processed by Amazon, which can take an hour or so. Until then, you can still save the book as a draft. Now just wait and Amazon will process the book, the progress of which can be monitored through the Bookshelf page. First Amazon will check the text and, if all is well, they will begin to publish it; the whole process can take 24 hours or so – I was lucky and had my eBook up and on Amazon within two hours. That’s how simple it is! Now go, flood Amazon with eBooks for all! And (late) Merry Christmas! 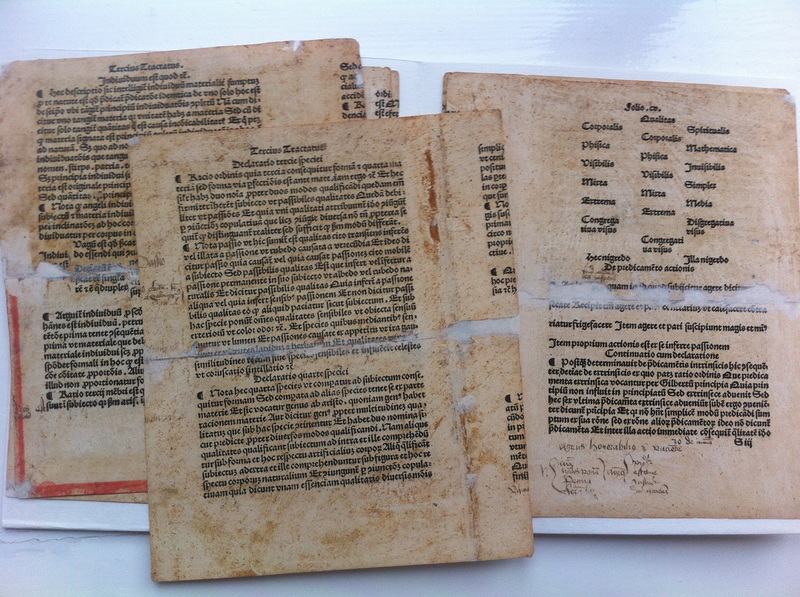 I thought I’d share a little treasure of mine that I’ve just got back from the bookbinder who’s been working on them. They’re the oldest pieces of paper in my entire collection, since they were taken out of the printing press some time in 1497. As far as I can tell, they were probably used by a succession of university students for a matter of a decade or two, before the text became unpopular, was cut up, and used as scrap in a book binding. Some time in the 90s or earlier, a German bookbinder removed them from their binding and sold them off several years later, they travelled first to America where a dealer stuck them together with masking tape, and were finally bought by me after a lot of haggling over the Summer. The text itself is a wonderfully written medieval Latin text that discusses the logic of ancient philosophers; and was a text inspired by all the wonderful ideas flying around Europe at the hight of the renaissance. Its title is the Compendium Totius Logicae, an early work by Magnus Hundt; a theologian and philosopher in his own right, but widely regarded today as the founder of modern anthropology due to a work he had printed four years after the book that I own. Printed in Leipzig by a man called Martin Landsberg, just to hold pages that were studied within the lifetime of people who’d been alive when Agincourt had happened is incredible. Just to think – these pages were already 13 years old when Henry VIII came to the throne, they existed throughout the fall of ‘medieval’ Europe, and have even got handwritten notes by men who saw all of that happen. *If you describe yourself like this, you must be barking*. *Top notch* tree jokes, eh? *My humour’s really branching* out. *Pine*-ing for something more funny? *Well, you’d better leaf* this blog and find something else. *Or you could tree and get on with something more productive. Free eBook! Looking for something to read? 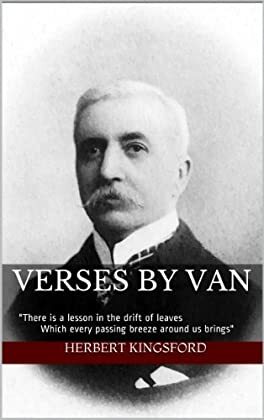 I have (on a very long and boring train journey) produced the ebook file for Verses by Van – poems by Herbert Kingsford. –> Excellent! I’ll download that. –> This is a very confusing way to display a download link. As the title may suggest, I have bought a small plot of internet at gargleyark.com; while my blog will most certainly remain in its stead here, I shall (and have recently been) working hard on this new web project. While the site is still under construction, I discovered this quite awesome tutorial on how to change CSS with PHP, cool eh? 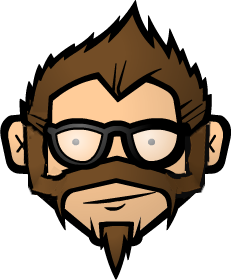 Anyway, more posts to come soon on books, I think, and also there might be an App Studio tutorial or two. *If you really wish, you may agree with the majority, I just like the word. As much as my continuous spam of Aberystwyth history may have displeased your temper previously, please allow it to continue. I would very much like to present the story of John ap Res, although modern spelling would probably have him known as John ap Rhys, a holy man originally from Cymer in Gwynedd, and how he he ended up locked up in Aberystwyth Castle in 1443. Some time shortly before the year 1441, the famous abbey of Strata Florida, about 16 miles inland from Aberystwyth, came under the control of a new abbot called William Morris. It was thirty years into the final reconciliation between the Welsh and the English, and the churches of the country were recovering their wealth that was lost during Glyndŵr’s uprising. William worked hard at the head of Strata Florida but seems to have caused some trouble amongst his fellow church leaders of the area, perhaps it was through his methods of leading his church, maybe his personality, or just down to the greed of those around him, but this is where John ap Res comes into the story. John had worked his way up to becoming abbot of the small abbey at Cymer and clearly didn’t like William and was jealous of his position at the head of Strata Florida. Two years after William had become abbot of Strata Florida, probably in late 1442, John ap Res wrote a complaint to the king himself and claimed that William had not been properly appointed abbot of Strata Florida and that instead he was supposed to have been appointed; the king’s messenger returned to John asking him to then go to Strata Florida and ascertain the nature of William as abbot and find who was rightful abbot. Instead, John had a better idea. He gathered ‘many evildoers’ whom stormed the abbey, capturing William Morris and the monks that supported him, and conveying them to Aberystwyth Castle, where they were locked up most probably in one of the two great towers. John then returned to the Abbey where he locked himself and the monks there inside and for several months held out against the local land owners, refusing to pay rent or taxes, and keeping all the money made from the abbey’s productions for himself. It was during this time that a local man called William Thomas somehow gained access to the castle, or otherwise convinced the jailer there to let the usurped abbot William Morris and his followers go free. Still, Strata Florida was locked down under the control of John ap Res, who was by this time holding it by force and defending it with violence against anyone who tried to enter. William Morris, now free, quickly saw that letters were dispatched to the king, who in turn ordered several local noblemen to gather together a militia and take the abbey. This they managed this by the end of 1443, leaving the abbey desolated. John ap Res was afterwards imprisoned in Aberystwyth castle where he had previously incarcerated William, his eventual fate unrecorded. While William Morris stayed a free man, probably returning to an ecclesiastical order as a lowly monk, never to show his face again in church politics. Church politics was certainly more exciting in the fifteenth century! On behalf of William Morys, abbot of the Cistercian abbey of Strata Florida, in the diocese of St. Davids, it has been shewn to the king that though on the voidance caused by the death of Res. late abbot William was duly elected as abbot by the prior and convent of that place and installed by David, abbot of Whitelond, father abbot of Strata Florida, and John ap Res, then abbot of Kymer and confirmed therein by the visitors, John, abbot of Bildwos, and Thomas, abbot of Morgan, of the Cistercian order, and enjoyed possession thereof for two years, yet the said John ap Res brought before the king a false charge that though the said John was duly elected abbot through the deposition of the said William yet they say that William unjustly occupied the abbey and did much damage thereto, whereupon the king directed letters patent to certain persons appointing them to preserve the abbey under the royal protection, by virtue whereof John ap Res, assembling many evildoers, entered the abbey by force and spoiled it of its goods and jewels and expelled William Morys and some of his fellow-monks and caused them to be imprisoned in the castle of Abrustuth till they were freed by one William Thomas, and John ap Res has since held the abbey by force : — the king therefore has taken the abbey into his protection and appointed Thomas, abbot of Morgan, reformer of the Cistercian order in Wales, and David, abbot of Whitelond, to the keeping thereof and all its possessions, provided that they preserve the same without waste, so that neither William nor John, administer the goods thereof, and provided that they make an inventory of the goods as speedily as possible and cause them to be preserved for the use of the abbey. After more time than and space than I’d agree it was worth, here is the final part of my small History of Aberystwyth. GR: Come, my friend, stand with me in this little shelter on the promenade, just opposite and to the left of the way into Albert Place. C: I am with you, sir. GR: I’m afraid I’ve had you stand in a rather grizzly spot – this place was originally, in the seventeenth century and earlier, the town gallows. C: So it is on this spot that the most unfortunate of the town’s criminals met their fate? GR: It truly is, the gibbet would have stood in the salt marsh that would then have been here and the poor souls who were hanged here would be left for the sea birds and gales to tear down in time. C: I shudder to imagine such a fate. GR: However, by the eighteenth century, as this became a tourist town and the beach began to attract people, it was decided that perhaps swinging corpses were not the best way to encourage visitors to enjoy the shore and so the gallows were removed. GR: It was in 1810 that this site was used for a building called Penbryn House, which was the first proper bath house in the town and was built out on this rock so that sea water could be used instead of having to replenish the water each day. C: So it used cold sea water? GR: Not at all, it was a rather impressive scheme – water was brought into the bath house through a pipe that ran a mile out into the sea, this then took that water and conducted it through a boiler into the relevant baths in the building. C: Indeed? And what became of it? GR: With the improvement of the promenade being a constant throughout the Victorian period, it was finally demolished in 1892, and the present shelter put in its place. C: I can see why this spot was chosen, it is a very beautiful view. GR: Yes, certainly, the crescent of buildings is relatively unchanged since the 1890s when the last few buildings in the promenade were finished. It is from this spot that you can enjoy the full view of Aberystwyth, and imagine it throughout history, with the castle on the horizon, the Victorian terraces behind, and the ageless sea beyond. C: I see it, sir, and know it better now thanks to you, my guide. GR: I simply wish I might have had the time to go into more detail, but I am quite sure that the detail I am tempted to examine this town at would be beyond anyone’s interest. GR: Well, I did not go so far as to point out the odd stone that you’ll see in the walls of buildings that have medieval cut marks and come from the castle, and I did my best only to tell the history of the main streets of the town. C: Yes, it has been a thorough walk, I am grateful, sir. GR: Well, perhaps we shall meet again, but it has been a pleasure to be able to converse on history for once. C: Until next time, my guide.